In Kenya, investment in potato and tomato productivity is paying off for farmers like Loice Beatrice Chai. Loice proudly shows off her tomatoes on a farm in Mwezangombe village in Kenya's Coastal province. While visiting farms in Kenya last month, I met Loice Beatrice Chai, who proudly showed me her young, healthy tomato plants. She had grown these tomatoes from seed on a small plot of land, and this week at last, she will begin harvesting the plump fruits of her labor. The 56-year-old mother of seven and grandmother of seven is new to tomato farming. She had struggled for years to make ends meet growing maize as her primary crop, but in June Loice joined Mavuno Zaidi, which means “more crops” in Swahili. The innovative project – a partnership between TechnoServe and Syngenta – aims to promote tomato and potato farming and increase the incomes of 15,000 smallholder farmers. A TechnoServe farmer trainer worked with Loice and the farmer business group that she belongs to, providing training in business skills and introducing the group to tomato farming with improved seeds and crop protection products. The lack of high quality agricultural inputs is an important reason why yields in Africa are significantly lower than in other parts of the world. Mavuno Zaidi seeks to address this gap by helping African farmers access and benefit from quality inputs. 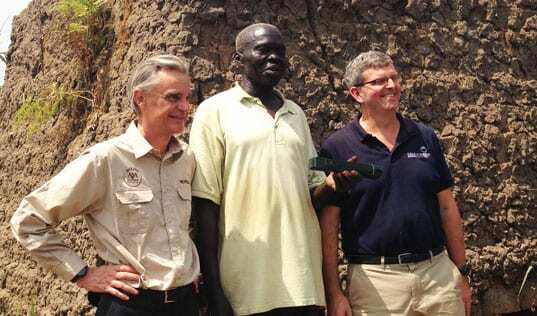 Without having to borrow any money, Loice purchased 2,500 tomato seeds of a high-yielding hybrid. After growing these in a nursery, Loice planted 1,500 seedlings on her rented farm and sold 1,000 seedlings to other farmers. 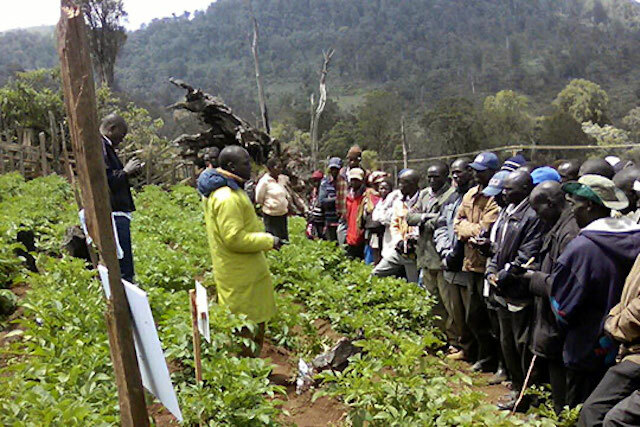 Potato farmers keenly follow an agronomy training at a Mavuno Zaidi demonstration plot. I was inspired to listen to Loice analyze her farm as a business, drawing on skills she learned through Mavuno Zaidi. With reliable extension services available through the project, Loice also learned best practices in agronomy, giving her confidence at each stage of the crop cycle. In a season with little substantial rain, Loice’s biggest challenge has been manually irrigating her plants from a nearby community well. Luckily, the Kilele hybrid that she planted is suitable to drier periods and has remained productive. With strong demand for tomatoes in the local market, Lois is projected to earn more than $1,000 from her tomatoes this season. Over 80 percent of this will be profit for Loice, allowing her to better feed her family and provide for their education. 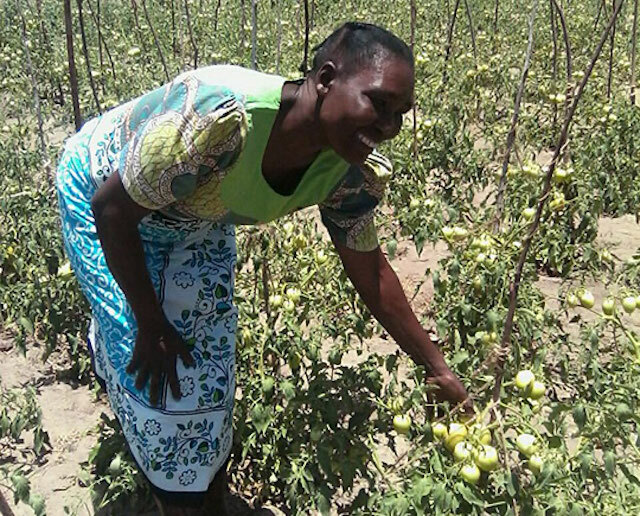 Loice is already planning to expand her tomato crop to a full acre next year, and in the long run she hopes to buy land and move her family out of their rented premises. To date, Mavuno Zaidi has reached more than 9,700 potato and tomato farmers in the Rift Valley, Eastern, Central and Coastal provinces of Kenya, with farmers seeing an average 18 percent growth in net income after the first season. Syngenta is one of the world’s largest suppliers of seeds and agricultural inputs, and aims to grow its Africa business to $1 billion per year while increasing the productivity of 20 million smallholders over the next 10 years. 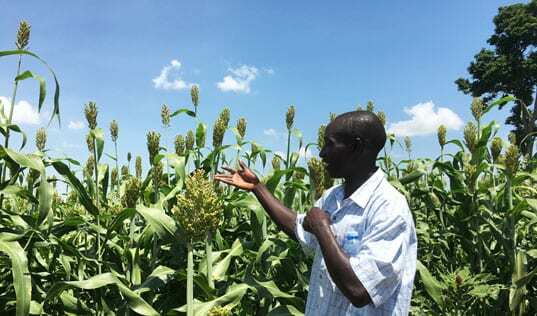 By investing in market development initiatives like Mavuno Zaidi, Syngenta is creating shared value – growing commercial opportunities while significantly expanding opportunities for smallholder farmers. TechnoServe is proud to partner with Syngenta on Mavuno Zaidi to improve productivity, livelihoods and food security in Africa.